Disclosure: I received the iCoffee Opus brewer for review. All opinions are my own. Coffee is my language. I love a good cup and was excited to test the iCoffee Opus brewer. The iCoffee Single Serve Opus brewer uses SpinBrew™ Needle Technology, which releases the locked-in flavors of coffee while eliminating any bitterness and acidity to deliver an impossibly smooth tasting beverage from a single-serve brewer. The iCoffee Opus brewer has a beautiful design that fits right in with any kitchen decor. You can use any k-type cups with this machine. How awesome is that? No need to hunt down special cups that are machine specific. If you have your favorite coffee that you grind, just use the included iCup™ Reusable and you can brew a fresh cup with ease. The SpinBrew™ technology is quite genius - it jets, spins, steams and stirs the grounds inside all k-type cups to make sure you get a smooth flavor and taste. While I'm not an expert in coffee, I do know if I am going to enjoy the cup or want to toss it out. I can't tell you how many times I've tossed out cups of coffee I've made at work with the other single-serve machine brand. What's also unique is the Dial-a-Brew™ which allows for your preferred size of drink from 4 to 12 ounces (in .5 increments). The default setting is 8 ounces which I like to make a double serving when on the go. 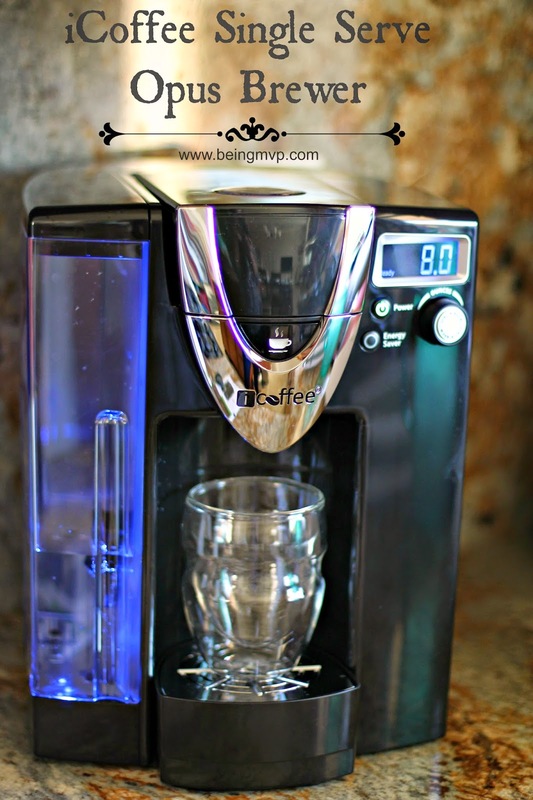 The 75 ounce water reservoir means no need to fill up constantly for an after dinner coffee/dessert treat. 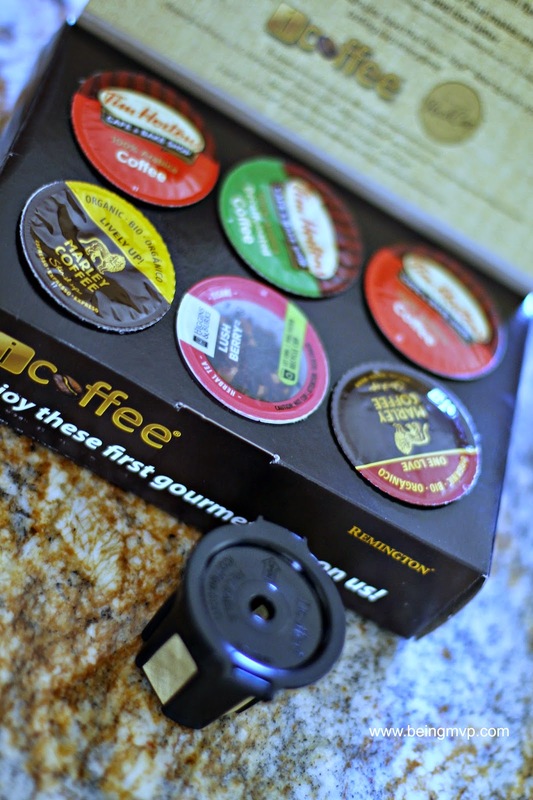 I would have loved to have had the iCoffee Opus during the holidays! 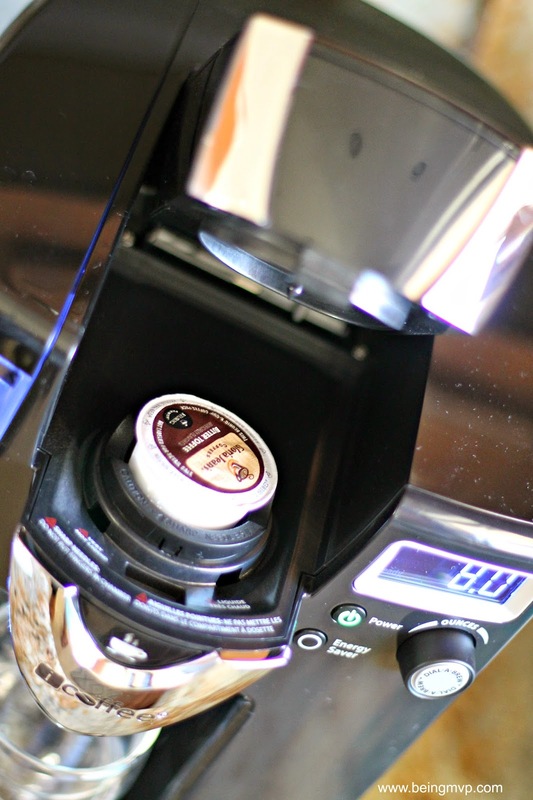 The energy saver mode and automatic shut off are great features that one would not normally think of in a coffee machine. Just pop in a cup into the holder, turn the knob until your desired size is displayed on the LCD screen and then press the brew button! 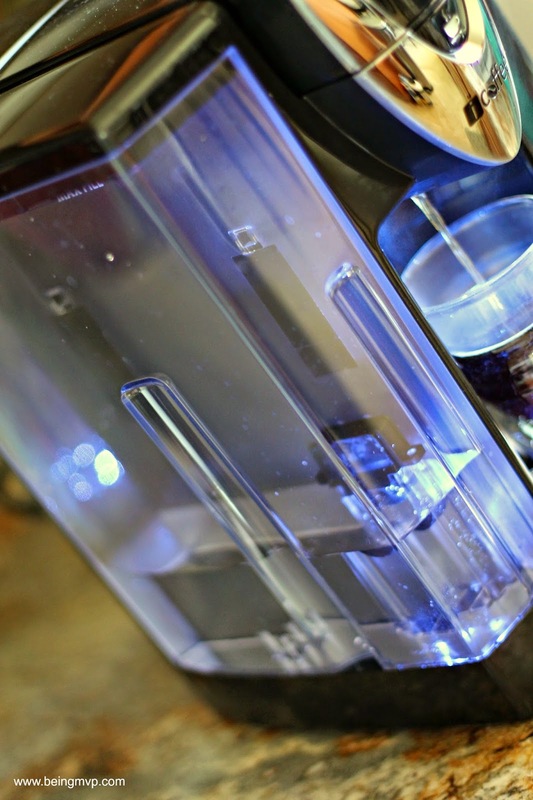 The LED light in the dispense area will go out when your coffee is ready. What do you think about the iCoffee Opus machine? Would it make your day that much better? This may be the most spectacular thing I've seen all day!! I am the only coffee drinker in the house, so I really don't know how I got by without a sinlg e brewer before. Wow. That is one fancy pants coffee machine. My husband and I both drink coffee, but we still use a single brewing machine. Oh my!! I love that there is a 12oz option! Unlike a certain competing product! I might have to look into one of these coming to live at my house. And side note - dont you just love Marley Coffee? I'm not a coffee drinker, but that's a pretty cool coffee machine. An LCD screen and everything - wow! I would be so lost without my morning cup of coffee. I had not heard of iCoffee Opus brewer before!! Looks like a nice machine! This is so cool! I love the idea of having a one cup maker for myself! We do a large pot in the am, but I'm the only one here during the day! What a nice machine. I never heard of Opus but, looks like I've been missing out! I really like the sleek design. It looks like it fits in a nice spot on the counter and doesn't take up a ton of space. I have to check this out in a demo in the store! I love the overall look of this coffee maker, and i love the dial. The spin brew feature sounds incredible. Always great to invest in a nice coffee maker. Very nice coffee maker! It sounds like it would really make my mornings easier. 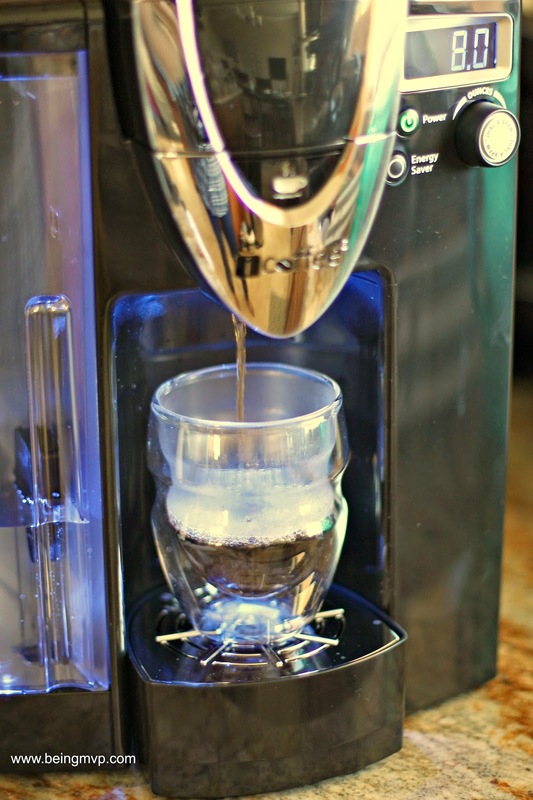 This is really nice coffee maker. I like all the different features it offers.